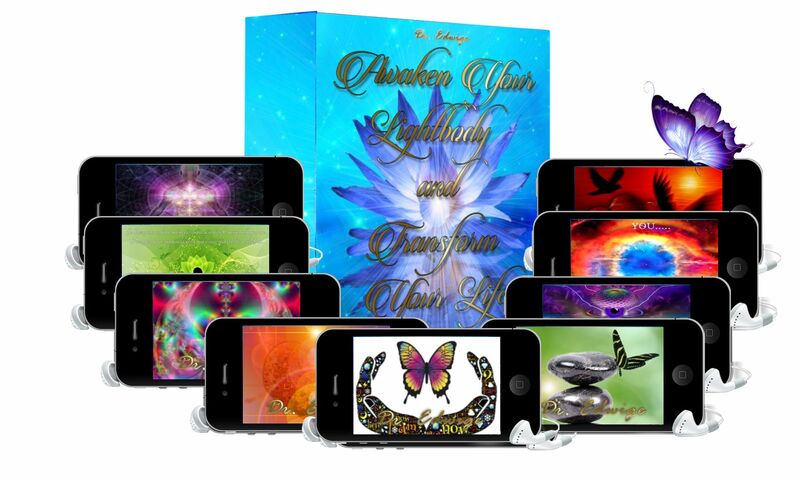 Awaken your Lightbody and Transform your Life! Depending on your computer and Web browser, if you left click the download buttons, the tracks may begin to play automatically through your Web browser. If this happens and you wish to save the file to your computer, right click on the download button and select “Save Link As”. During this meditation we will be doing a clearing and opening that is more profound than anything you have ever felt before. You will be releasing old mental, emotional, physical and spiritual blocks, creating an open flow of energy, which will allow for the integration of the intense energies we have been experiencing and will continue to experience. In this meditation we will ignite the divine light within you, filling you with more love and gratitude. This will bring you to an awakening of your next level of ONENESS with the All That Is. During this meditation you will be experiencing a thinning of the veil. This requires opening our consciousness, our sixth sense, the higher intuitive mind in the heart center. This allows for connection with the spirit world and opening to your angels. Consciousness is not a fixed energy or quantity. Consciousness varies greatly from person to person, some people being much more aware, alert, wise, causal, loving, and happy in life than others. Consciousness of Self also varies in the same person in the normal daily cycle of sleeping and waking. They also vary according to how much vital energy we have used and wasted in thinking and emoting and resisting life. Spirituality is all about the accumulation, conservation, and wise use of energy. Discover the There are seven states of Consciousness and ten stages of consciousness.